G.P. Putnam's Sons, 9780399574474, 288pp. A collection of all-new Paris-themed essays written by some of the biggest names in women’s fiction, including Paula McLain, Therese Anne Fowler, Maggie Shipstead, and Lauren Willig—edited by Eleanor Brown, the New York Times bestselling author of The Weird Sisters and The Light of Paris. 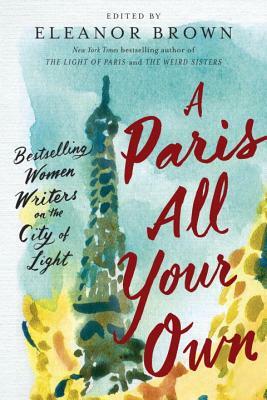 “My time in Paris,” says New York Times–bestselling author Paula McLain (The Paris Wife), “was like no one else’s ever.” For each of the eighteen bestselling authors in this warm, inspiring, and charming collection of personal essays on the City of Light, nothing could be more true. Perfect for armchair travelers and veterans of Parisian pilgrimages alike, readers will delight in these brand-new tales from their most beloved authors. Eleanor Brown is the author of The Light of Paris and The Weird Sisters. Her writing has been published in anthologies, magazines, and journals. She holds an M.A. in Literature and has worked in education in South Florida.